Your Autodesk Subscription or Maintenance contract may entitle you to technical support directly from Autodesk. But how do you access it? The simple answer is through your Autodesk Account, which I'l explain below, but there may be quicker ways to solve your issue. First, Try the Knowledge Base, or just google the issue. You may get a solution straight away. Next, Contact Us. We are always ready to help our customers and will do so if we can. Please explain the issue clearly and include screen shots of any error messages if you can. Sometimes the issue may need to be escalated to Autodesk. 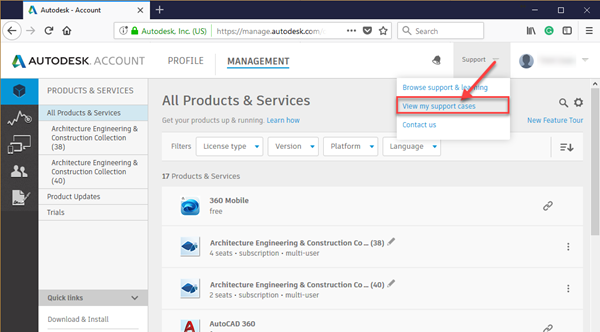 Log on to your Autodesk Account using an email address associated with your contract (Contract Manager, Software Coordinator, Assigned User). (if you don't see this link, you don't have Autodesk support or you have logged on with an email address not associated with your account. Please contact us with your product serial number and we will check). If you want us to see your support requests, hit the link under My Reseller Permissions. 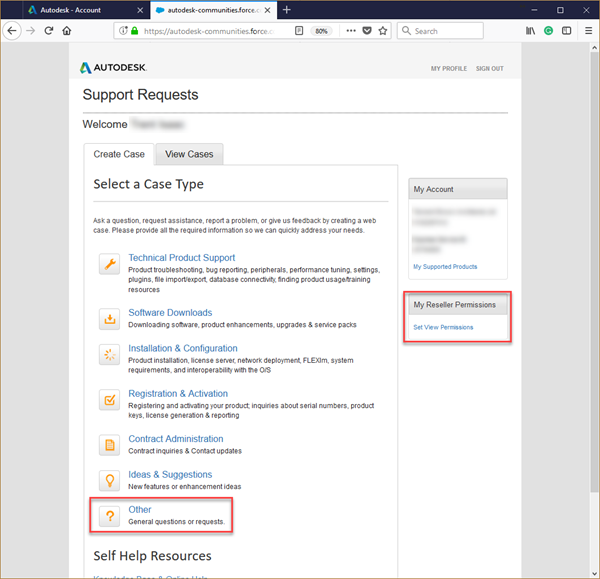 On the Create Case tab, choose a category (I always choose Other - it seems to work best) and fill out the support request form.